Editor’s note: In part one, our writer described how Zarin had eloped in the summer of 2011 with Ahmad, without her parents’ consent. The story is true. When her family discovered she was missing, they sent her brother to marriage court to argue against the wedding, but the court approved the marriage, and Zarin went happily to an unknown future with Ahmad. It was not known at the time how the marriage would fare, but Zarin knew she would no longer be accepted in her family. After the court made Zarin and Ahmad husband and wife, Zarin started a new life with a heart full of hopes and dreams. Holding her beloved’s hand the couple left for Ahmad’s house in the countryside. His family was large and they all lived together in a huge house. Apart from Ahmad’s elderly parents, there was an older brother and his family, and a younger brother who was not yet married. Surprisingly, there was also another young woman with four children. At first Zarin had no idea who she was, but she later learned the bitter fact that she was Ahmad’s wife and these were their children. Yes, Ahmad was already married and Zarin didn’t know it. Zarin had known very little about his family before; he would only talk about his old parents. The first day was shocking for Zarin as she learned the truth. She thought about what she had done by running away from her family and preferring Ahmad, a total stranger to her family. She started to believe that what people had said was right and she should have stayed with her family. This was a scary awakening from her sweet dreams. Her big decision had turned to failure. Ahmad wasn’t single and there were four kids and another wife who was younger than Zarin. She was at a stalemate, in the dark, struggling towards an unknown future. Ahmad was different now. She was cautious and suspicious. She was scared of Ahmad as he had become indifferent to her. When Ahmad saw Zarin walking aimlessly, she suddenly stopped, frightened. She hadn’t noticed his entrance and she saw hatred and anger in his eyes. He almost shouted at her, “Why are you walking? Stop doing it! You are boring enough.” He told Zarin to give him all the money she had brought with her when she left her house. She was shocked and wanted to resist, but he was ready to beat her if she said a word. He was a stranger now. He was not the earlier Ahmad, willing to do anything for her. He demanded she give him all of the golden jewelry she had, leaving her with nothing. He threatened to kill her if she did not give it to him. She had been abused by Ahmad and his family since coming to his house. No one in the family liked her because she had married an already married man, plus she had committed a shameful act by running away from her family. She had to do all the chores. She couldn’t raise her voice because she was to blame. This life was even worse than with her family. Three weeks passed, and Zarin began to think of how to free herself. She decided to take a risk and call her older sister, Ruya. She cried on the phone, but when Ruya realized that it was Zarin she didn’t want to talk to her. Zarin begged her to listen. Then she told Ruya her story, including the details of the violence at Ahmad’s house, becoming a servant of Ahmad’s first wife and how they took her money and gold jewelry. When Ruya heard the facts from her lost sister, she was very sad, but didn’t know what to do. She had been happy that at least Zarin had made a life with someone she loved. She couldn’t tolerate her sister suffering in strange hands. Ruya wanted to share Zarin’s story with her older brother. One afternoon, she opened up a conversation about Zarin, but Nori became angry and told her to stop talking about dead people. A week passed. Zarin kept calling Ruya, asking for help. Ruya went to her brother once again and told him everything about Zarin, without giving him a chance to make any comment. Nori was shocked because he wasn’t expecting such a tale. Although he was very angry with Zarin for what she had done, he was her brother and could not allow such cruelty against her. Ruya and Nori decided to help Zarin secretly, without their parents knowing. The next day, Nori went to the village and met Zarin at a neighbor’s house. When she saw her brother she couldn’t stop herself and cried bitterly as she hugged him. She cried, “Kill me if you want, I know I was wrong. I realized it too late. I am sorry!” She hoped her brother would have pity on her. Nori was calm and tried to help Zarin quiet down. He asked her if he could talk to Ahmad, but Zarin said it was not a good idea—she would just be in more trouble. So they made a plan to invite Ahmad and Zarin to the city to her parents’ house. Nori told Zarin to behave well with Ahmad’s family for a while. When she returned home, she was very nice to the family, doing whatever they asked. She obeyed her husband, cared for the children, and smiled when the family insulted her. 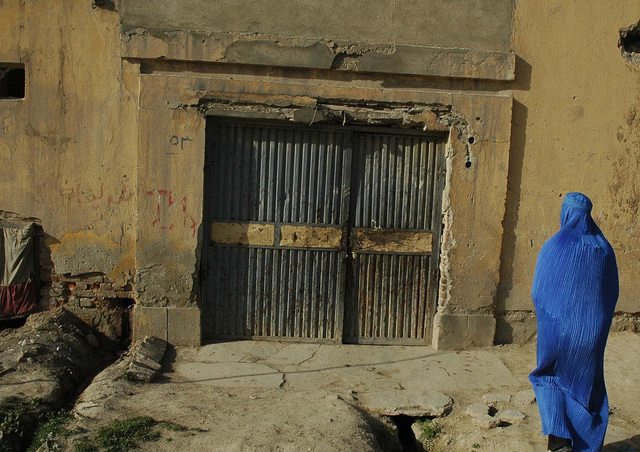 Then one day she asked Ahmad to take her to the city to visit her old mother, who was sick. Ahmad resisted at first, but finally agreed and they left the village to visit Zarin’s family. They arrived in the afternoon. When Zarin’s father found out that she was in the house, he went crazy and took out a knife to kill them both. Ruya, her mother, and Nori stopped him. The old man went to mosque and declared that he wouldn’t come home until Zarin had left. Zarin insisted on staying, saying that even if she will be killed, she could not return with Ahmad. Nori talked to Ahmad and asked him to be fair with his sister and allow her to stay in her old home. Ahmad left the house and never came back. Zarin was back home, but it is hardly a happy ending. She recognized her mistakes, leaving her family, running away with a man she barely knew and trusting him. Within the society and the structure of her family and with her lack of education, she was unable to make good decisions and lucky her family took her back; they could have killed her or refused to let her come home. This is so common. The story of Zarin illustrates a woman’s inability to struggle and win against the strict chains of the male-dominated culture. Zarin is now without hope. She faces condemnation and insults from her family and other people. All doors have been closed to her. Yet she lives. Oh, this is not how I wanted this story to end, but thank you for sharing the rest of Zarin’s story. It is so unfortunate that women don’t have better options for independence and are so vulnerable to unscrupulous men. Wow, I really wasn’t expecting this kind of ending either. As one of the readers for the first part of this piece in the upcoming New York performance, I so wanted this to be one of those stories where Zarin was cared for and respected as a wife in spite of the threats from her family. Now I am seeing just how complex and fragile these situations are, and how fortunate she is that her family took her back. However, it brings up several questions as well- will she have any rights in the courts if she wants to divorce? Do the courts take previous marriages into consideration in these circumstances? Will her family finally recognize her wishes to love and adjust their standards on who she can meet? I can only hope and pray for Zarin, speak truth to her reality during the performance, and continue to be an advocate for her rights, and the rights of women like her, with love, strength and compassion. A very sad end to the story, but very well-written, Shafiqa. I look forward to reading more stories from you about women’s lives.